I have had so much fun already this summer with my 2018 Sweet Lemonade Photography VIP team. 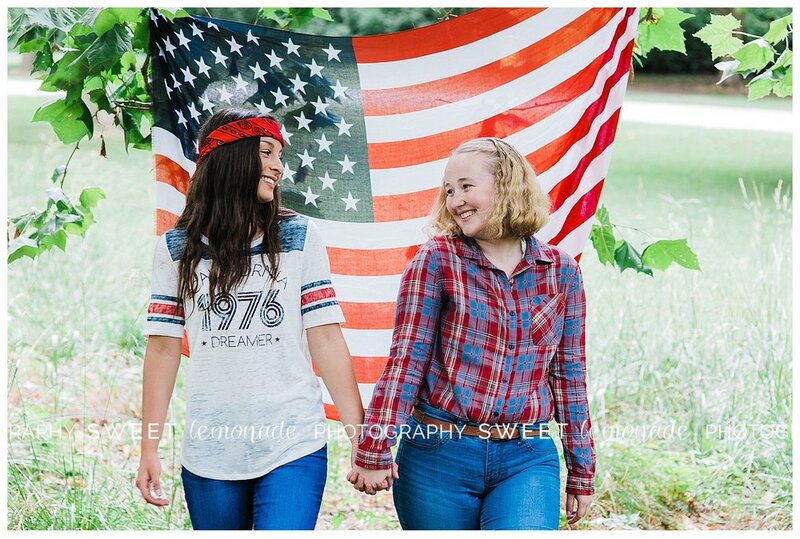 The American styled shoot with Gabrielle (Fisher High School) and Sydney (Mahomet-Seymour High School), two of my 6 senior VIPs this year was a blast. And a special thanks Hatcher's Cars in Mahomet for allowing us to borrow this classic car, 1968 Rambler, painted a perfect red, white and blue combination. In addition to their typical senior session, throughout the summer we have a variety of fun styled shoots and social activities planned. Photographing teens and seniors, is a lot of fun and this VIP program allows me to get to know these young adults even better. If you are an incoming junior and would like to apply for the 2018-2019 Senior VIP program, you can find more details here. It's never too early to apply! Enjoy these pics from the first one of several styled shoots! Heather is the owner of Sweet Lemonade Photography and co-owner of Sweet Darling Weddings located in central Illinois (Mahomet). Life gave her a bunch of lemons (you can read a little more here on her personal blog Sweet Lemonade Life) and by keeping her focus on God, finding the positive in each day, and surrounding herself with supporting, loving and encouraging people she has turned those lemons into the sweetest lemonade. This blog has been created to share her heart, her adventures and find ways to bless others. You can contact her at heather@sweetlemonadelife.com or heather@sweetlemonadephotography.com.